How did we get to this point? How is it possible to consistently manipulate people who are educated, pro-human rights and against violence, into believing a narrative that is built on promoting hate? The latest attempt in the ongoing crusade to manipulate students into a distorted view of Israel is Columbia University Apartheid Divest (CUAD), spearheaded by Columbia students Shezza Abboushi Dallal, Jannine Salman, Jeffrey Jacobs and Eva Kalikoff and promoted on social media by Yasmeen Abdel Majeed and Adrian McAfee. The name “Apartheid Divest” itself, is an outrageous microaggression designed to bully students into swallowing a hate-narrative, by presenting Apartheid as Israel-normative. A collaboration between Columbia Students for Justice in Palestine (CSJP) and Jewish Voice for Peace (JVP), the campaign was launched with a petition and inaugural event titled BDS 101 on February 4, 2016. To be clear, CUAD is a rebranding attempt of the now-famous campus BDS campaign. However, it is a further cynical move to normalize the usage of “Apartheid” within the Israeli narrative: go straight to the point, minus the bothersome dialogue about other views. 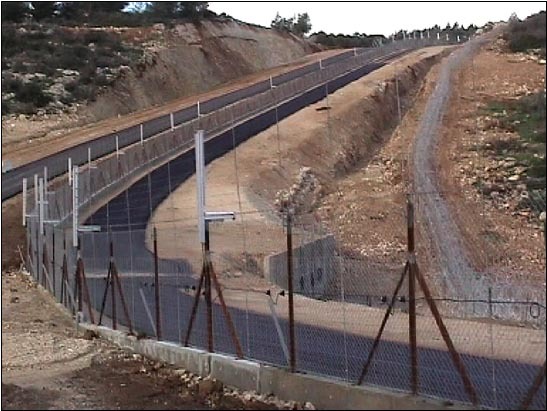 In December 2015, CSJP promoted a video originally produced by Al-Jazeera; in it, the group pointed out that language is an “important tool” — and characterized Israel’s security fence (97% of which is a low chain link barrier), as “The Apartheid Wall.” The video focused on the atypical concrete portions of the Israeli security fence — which were built in response to Palestinian sniper attacks. In March 2015, CSJP’s held its yearly ‘Israel Apartheid week,’ which included building a Mock ‘Apartheid’ wall on campus. Some of the students directly involved were Shezza Abboushi Dallal, Jannine Salman and Darializa Avila- Chevalier. CSJP occupied both sides of the College Walk, a heavily-trafficked thoroughfare in the center of the Columbia campus — boxing out pro-Israel organizations’ freedom to table and counter the false claims of SJP and their associates. In April 2015, Jannine Salman organized and promoted the SJP event to host Haneen Zoabi —a member of Israel’s parliament — who has been investigated for inciting violence on numerous occasions. On April 3, 2015, Yousr Shaltout co-authored an Op-Ed in the Columbia Spectator with fellow CSJP member Darializa Avila Chevalier titled: “Reflecting on a Culture of Intimidation.” There, Shaltout claimed that pro-Israel student groups harassed, intimidated and silenced anti-Zionist groups. In March 2014, CSJP members hung a banner created by Jannine Salman on Barnard Hall, the entryway of the college, to kick off Israeli Apartheid Week. The banner featured a map of Israel, the West Bank, and the Gaza Strip, with no internal borders, colored uniformly green— visually eradicating the Jewish State. In December 2014, CSJP hosted a panel discussion event at Barnard, entitled “Race, Violence, Resistance From Gaza to Ferguson.” This event encouraged false comparisons between the populations of Gaza and Ferguson – fueling accusations that Israel is inherently “racist” and justifying Palestinian violence against Israeli civilians — labeled as “resistance.” The event was introduced by Aya Zaki-Sabet and Shezza Abboushi Dallal was a speaker. In April 2013, Mona Abdullah of CSJP was an organizer and promoter of a press conference launched by members of the Barnard and Columbia faculty, calling on College Retirement Equities Fund TIAA-CREF to divest from Israeli corporations, including Elbit Systems, Hewlett-Packard (HP) and Veolia. However, the divestment effort failed as the pension fund received admittance from the Securities and Exchange Commission (SEC)’s that they would “take no action” on the matter. In February 2012, CSJP staged a mock house demolition, on Columbia’s Low Plaza — propagating the falsehood that Israeli-Arabs do not have the same building rights in Israel as Jews. The actors included Feride Eralpe, Thaer-al-Sheik Theeb and Maya Wind. Eralpe stated that Palestinians are therefore “forced” to build illegally. In November 2012, Qais Malhas filmed a dramatized mock arrest protest, on behalf of CSJP, featuring fellow students Feride Eralp, Isabel Penaranda and Thaer-al-Sheik Theeb as part of a “Right to Education week” — an initiative started by Birzeit University, whose student body has been ridden with terrorists for more than a decade. The dramatization falsely represented that Palestinians were arrested solely for the “crime” of attending University. In November 2010, CSJP staged a mock Israeli checkpoint on Columbia’s Low Plaza, in which Maya Wind, portraying an “Israeli soldier,” harassed and yelled at passers-by. Feride Eralpe is first “citizen” in line. CSJP members also blindfolded and placed tape over the mouths of other students, who were meant to portray security detainees. In November 2002, a group of faculty at Columbia and Barnard launched a divestment effort entitled “Columbia University Divestment Campaign” to encourage the United States government to suspend its military aid to Israel, and divest from all companies that manufacture military hardware sold to Israel. As of January 1, 2016, fewer than 1000 people signed the group’s divestment petition as compared to more than 33,000 who signed Columbia’s anti-divestment petition. Columbia’s President, Lee Bollinger, blasted the divestment petition: “I want to state clearly that I will not lend any support to this proposal. The petition alleges human rights abuses and compares Israel to South Africa at the time of apartheid, an analogy I believe is both grotesque and offensive,” he said. Standing against the latest BDS smear campaign, pro-Israel students launched “Invest in Peace,” a campaign to educate students about how divestment generates distrust, and will only make it harder to achieve peace between Israelis and Palestinians, said Daniella Greenbaum, president of Aryeh, the Columbia student association for Israel. If those who are looking to be educated are most at risk of absorbing a false narrative, campus organizations such as Aryeh and Columbia SSI are a hope for students seeking a more fair and truthful discussion about Israel. The AparthedDivest joint venture between CSJP and JVP may be the next manipulative attempt to gain support for a false narrative, but if those who are firm and committed to a truthful portrayal of Israel stand in solidarity, this latest attack and any after it will be able to confronted. UC Berkeley Professor Hatem Bazian has hit a new low. He is now openly encouraging the brainwashing of young children toward deadly violence against Jews. This is pure incitement. By glorifying such a grotesque and twisted image, he encourages tactics and values employed by terrorist organizations, such as Hamas – who are currently training a generation of child soldiers in Gaza. What an interesting week here at Canary Mission. There are no limits to the lengths enemies of free speech will go to shut down dissent, stifle the truth and obstruct justice. The anti-Semitic zealots who remain obsessed with our mission to expose bigotry on campus have succeeded in shutting down our Facebook page and possibly downing our website for a full 90 minutes. Those who lack truth rely on criminal tactics such as these in order to stifle any voices alerting the world to their dangerous words and ideas. Anyone who has seen these haters of Jews and Israel at work on social media know there is nothing they won’t say, no profanity they won’t hurl and no threat they won’t make. They will invoke Holocaust imagery, threaten our lives and families and scream epithets in terribly-spelled caps-locked fury. And any time their behavior is reported to Facebook, a reply will be given “User has not violated Facebook standards.” But, as with everything these radicals do, they will not allow the public to see our words, no matter how civil, truthful and factual they are. If the narrative does not match theirs, it must be stopped at all costs. It is the pinnacle of hypocrisy to name oneself “liberal” and invested in ‘social justice,’ when the essential goal is to shut down any opposing views and become the ‘thought police’ for the entire social media world. One would be right in thinking, therefore, that they are so secretly fearful of the validity of our work in exposing campus radicals, that they have no choice but to remove our site and social media from view of those who might see it and come to the realization that it is they who are the true enemies of social justice. The anti-Semites thrive on portraying themselves as “the little guy”, the David to our Goliath. The analogy becomes almost laughable when you consider the size, the breadth and the violent power of movements like SJP, JVP and BDS. When you enter a campus with hundreds their activists screaming for Israel’s destruction and a small table of Hillel students being shouted down and called “baby killers,” your analogy is all the more skewed. When you have a social media world where one small, grassroots website is the target of countless attacks, both verbal and viral, while hugely anti-Semitic periodicals like Electronic Intifada and Mondoweiss, who spew Nazi-like anti-Semitic propaganda on a daily basis, carry on unabated – how then can we be considered the Goliath? How is it not patently obvious that the war against Jews and Israel on campus, on social media and isn’t intensely lopsided against us? We know our mission is too important, too vital to freedom, to be shut down. We know that our mission is too important to be silenced. So the anti-Semites of the world can try to shut us up and shut us down but we will remain brave in the face of hate and anger. And just like so many years ago, David will slay Goliath and we will succeed. When fighting the radical machine, our two biggest enemies are ignorance and misinformation. It’s the only explanation for a liberal democracy where everyone is respected being targeted as “genocidal racists”, while a people with a government promoting violence and terror are being hailed as sufferers of a “humanitarian crisis.” How else do you explain rockets hitting populations centers constantly over the course of over ten years being ignored, while a defensive war to eliminate the terrorist group Hamas is rewarded with condemnations from the UN and world opinion? We live in a world where up is down and right is wrong, at least where Israel is concerned. And those who oppose them are wholly unconcerned with facts. They realize that the more they distort, and yell, and intimidate those who disagree with them, the more their message will win. They stage photos, manipulate and edit videos, fudge statistics, chant buzzwords and repeat lies over and over, until the uninformed listener believes it all to be true. It is so much easier to look at a doctored photo and believe it’s real than it is to do a bit of research and discover that dead baby is a casualty of the Syrian civil war and not the Israeli-Palestinian conflict. It’s a lot simpler to call Israel “an apartheid state” that practices “genocide,” rather than admit the fact that neither one holds a shred of truth. In the interest of making things easier, we came up with a few fallacies being perpetrated by those who would see Israel destroyed, and translated the truth behind their PR campaign. What do the Palestinian Authority want? A lot of discussion has focused on the worldwide consensus that what is needed is a “two-state solution.” While debates abound about what this would actually entail, the basis framework is “two states for two peoples- Palestinian and Israeli.” While there is significant data that a large majority of Jews are open to this prospect, a reliable 2014 poll shows that 70% of Palestinians would still demand one state if they got a two-State solution. And it goes without saying (but we need to say it) that Jews (and likely practicing Christians) will not be welcome in this new one-state of Palestine. The Palestinians really want and envision is a future state that is completely free of Jews, much like Gaza is currently. What does the Boycott, Divestment, Sanction (BDS) movement want? BDS is a very organized movement with a very shadowy end-goal. They are unclear whether companies from all of Israel should be boycotted, or just those from the “occupied territories.” Many are open with the true anti-Semitic motives behind BDS and want Jewish-made products in their entirety boycotted. Additionally, BDS supporters are selective in what products and innovations fall under the boycotting umbrella. While they are the first to demonize humus brands and skin-care products, they are less quick to give up their cell phones, internet devices, social media applications, vaccinations, and other Israeli and Jewish- pioneered innovations. They too advocate for a one-state solution, making the end goal of all this boycotting quite clear to those who are paying attention, but less so to the students blindly voting for the BDS resolutions on their campuses. What does Students for Justice in Palestine (SJP) want? Their name indicates a desire to gain “justice” for Palestinians, but what does this really mean? Is destroying Israel the only goal, or will they also fight for Palestinian justice from the violence of Hamas? “From the river to the sea Palestine will be free,” is a common refrain heard at SJP rallies and gatherings. Aside from the odious implications of this slogan, how does this address the lack of justice Palestinians suffer at the hands of their own? How do they justify the injustice of Mahmoud Abbas, head of Fatah in the West Bank serving the 11th year of a 4 year term? What justice are SJP demanding on behalf of women and gay people in Gaza, demographics that suffer greatly at the hands of their friends and neighbors? Where is the justice for children who are taught from birth that the highest honor for one’s family is to kill innocent Jews in terror attacks, and are posed with machine guns at “terrorist training summer camps” which one can easily see in thousands of online pictures? Why is the focus of SJP only ever on the destruction and demonization of Israel above all else? Why do SJP Chicago and Loyola openly support convicted terrorist-murderer Rasmeah Odeh? Why does a group which prominently features the word “justice” constantly make news for the rampant violence and intimidation they bring to campuses? We need to open our eyes and ears and stop supporting hate-fomenting ideologies that infiltrate our youth and incense them to violence and hate crimes, specifically on our campuses with certain professors and organizations that encourage such ideologies. We need to open our eyes and the eyes of our peers to reality. It is comforting and self-congratulatory to “root for the underdog,” but when the underdog is actually a dangerous movement rooted in terror, violence and fear, there is no glory in supporting that side. When the Palestinian leadership announces on their television stations time and again that Israel must cease to exist and a one state solution is the goal, believe them. When BDS accidentally uses the word “Jew” instead of “Israel” at a boycott rally, listen closely and take note. And when SJP schedules radical Islamic agitators and terrorists as invited guests, realize that their goal is not justice for Palestine, it is annihilation for Israel. Don’t be an uneducated pawn in the game of public opinion. Open your eyes, do your research and become informed. We need more of you out there. Many mistakes have been made on the road to understanding radicalism. We still get caught by surprise. We have been routinely shocked by an Alabama senior flying to Ethiopia to join Al-Shabaab, the Ottawa student who gets caught in Facebook pictures with ISIS paraphernalia or the Boston man plotting to behead Pamela Geller. The American public is familiar with these radicals. But they are not the face of North American radicalism. These stories are a blip on the screen of a much wider and pervasive increase in extremist rhetoric that doesn’t end in beheadings. The individuals that we don’t see moving up the spectrum of radicalism largely didn’t grow up with messages from radical imams in their communities. Rather, they grew up with human-rights messages, anti-war epithets from baby-boomer parents and have enjoyed hard-earned freedoms to participate in a plethora of human rights movements. It’s no wonder we miss it. The burgeoning radicalism that is sweeping the continent is simply not so shocking, because it doesn’t result in an overt threat to individual lives. But, it threatens us all. We are referring to the threat of moderate radicalism: the radicalism of upstanding moderate human beings. These individuals will not likely end up joining Al-Shabaab or becoming ISIS sleepers, but will move from being human rights activists to racists and bigots. The process of this radicalization is simple: racist and bigoted ideas are slipped in at certain events that attract moderate human beings to stand up for a “human rights issue.” And over time and through increased exposure to extreme ideas, they start to seep in. Anti-Israel events are today’s fertile breeding grounds for such moderate radicalization, where a horrifically racist chant like, “From the River to the Sea Palestine Will be Free” – calling for the total destruction of Israel, can filter through. Other chants like, “Baby killers” and even, “Back to the ovens” soon filter through behind it and incrementally the moderate individual is transformed into a racist and bigoted radical. But this is just the beginning. The leaders in this vital field of radicalization – BDS, MSA, SJP and CAIR – with their links to the Muslim Brotherhood, have a company line that begins with Israel, but ends with the West. By taking the “gateway drug” of anti-Israel radicalization, today’s moderates are furthering global anti-Western radical Islamic ideology. It is patently evident, yet has been entirely overlooked – that all the increasing antagonism toward Israel is part of a much wider maneuver to seep radical attitudes into America and the West, under the guise of human rights activism. If you think that this is a crazy conspiracy plot, you can view the Brotherhood’s own document right here! We need to stop overlooking this and start doing something about it. We can do a lot to change the tide stimulated by BDS and their bedfellows by calling them out on their true motives and their radical attitudes. This way, Israel and the West won’t be the ultimate prize on their mantelpiece. The pro-Israel movement has been playing defense for as long as it’s been around. Since its earliest days, supporters of Israel have had to explain why the only democratic state in the region is legitimate, clarify all of its actions, and justify its very existence. The UN condemns them and the EU condemns them. The Arab world wants them destroyed while so-called intelligentsia in academia and the media hold them to a standard above any other country in the world. With every war and intifada, every terror attack and every condemnation, advocates of Israel have been fighting a defensive battle for the name and reputation of the sole democracy in the Middle East. Today, Israel finds itself in the proverbial hot seat yet again. Under the guise of “human rights” and with buzzwords aplenty (“apartheid! racist! human rights abuser!”), the Boycott, Divestment, Sanctions (BDS) movement and its myriad of affiliates hope to create a future world that is minus one Israel. With direct links to terrorist organizations like Hamas and the Muslim Brotherhood, and with support from radical left groups like Jewish Voice for Peace (JVP), CAIR and CodePink, it should be quite obvious that the intentions of this anti-Israel movement are not harmonious at all, and that the goal has nothing to do with peaceful coexistence. One needs only look at their invited speakers, often radical agitators, to see that the true intentions of this movement are duplicitous. What has been the reaction of the pro-Israel community? Again, we have played defense. We have defended against the BDS resolutions that come up for votes in university student senates. We have defended Israel and her freedom with small counter-rallies at anti-Israel protests. We have defended Israel when our fraternity houses are spray painted with swastikas or our Birthright tables are upended. Yet, is this the best approach? Shouldn’t we take our approach from defense to offense? Shouldn’t we be advocating and explaining our positions, clearly and calmly? Shouldn’t we be learning how to be strong supporters of Israel and of a democratic way of life? Shouldn’t we become the new BDS movement, but one whose letters stand for Buy, Defend and Support Israel at every opportunity? Of course we should! But how can we do this practically? It’s one thing to say we want to advocate and quite another to actually do it. One way is to educate ourselves. We need to become aware of both the accusations against our cause, as well as the way to refute these claims with facts ad rationale. While this won’t convince those whose life’s mission it is to destroy Israel, we will influence open-minded but uninformed people around us. Another way is to hold our universities accountable for the climate they create. This includes inquiring about their politically-active faculty and anti-Israel groups currently on campus. It also includes ensuring that our alumni dollars aren’t funding anti-Israel programming, speakers or professors. We can put together a database for each campus, highlighting radical events, lectures and programming which make supporters of Israel feel uncomfortable. By taking a proactive approach instead of a reactive one, we can take this horrible movement and its dangerous assault on Israel and Western Democratic Values and make it our moment of triumph. This is the time when we take our defense of Israel and turn it on its head – when we make the pro-Israel offensive the one with traction, the one that students in North America and around the world can admire and get involved in proudly. That time is now- join in! Over the last 24 hours a firestorm has erupted around our relatively new project. From the moment Forward Magazine and Haaretz published an attack piece, news of Canary Mission spread like wildfire. Canary Mission has simply aggregated data that is already in the public domain and made it more easily accessible. We all have a right to know, we all have a right to warn others and we have a duty to protect the next generation from their hatred. Ironically, the BDS movement, whose entire raison d’etre is to boycott companies and individuals who support Israel, are complaining that our call to “boycott” these radical individuals is undemocratic! The same people who make “unfair allegations,” spread lies, anti-Semitic stereotypes and even use physical intimidation are accusing Canary Mission of McCarthyism! It’s laughable! Another criticism levelled at Canary Mission is that we are outing radicals but not owning up to who we are and who supports us. However, from ISIS, to Hamas to domestic American radicals, there is a true physical danger. See the comments on our Twitter feed and Youtube video and get an idea of why we are not particularly forthcoming for now. There is no question that Canary Mission is edgy; perhaps it even makes us feel a little awkward, but when the storm passes we will reflect and be glad that a new organization has entered the fray. An organization that provides vital knowledge about who are the radicals and what they are doing.